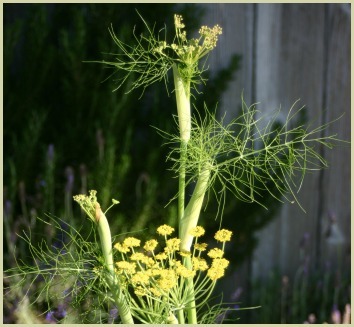 Growing fennel is definitely worthwhile as it's one of the most versatile herbs available. You can actually eat every part of the plant! You can use the young stems and leaves in your cooking, or let it flower and go to seed which you can then harvest for next years crop. 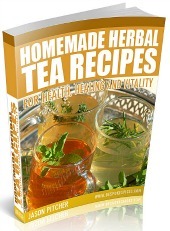 Or use the seeds in your recipes or your homemade spice blends. If you grow Florence fennel you can dig up the plump mature aniseed flavoured bulbs which have a ton of uses in the kitchen. There are a few varieties, all that you can grow from seed; Florence, ordinary fennel (aka common) and copper fennel (aka bronze). If you only harvest the leaves and seeds, as it's a perennial, it will last for a good few years, but it's best to start new plants every 2-3 years. If you harvest the bulbs, you'll have to start afresh every year. It grows best in a sunny position in well-drained, fertile soil. At the end of winter/early spring dig some well-rotted compost or manure into your planned bed. You can also dig in some sharp sand to help with drainage. Using a general potting compost or seed compost, sow the seeds in pots or plugs 2-3 weeks before the average last frost date in your region. Keep the soil moist whilst germinating. A temperature between 15-20°C (60-68°F) is ideal. After the last frost date sow the seeds in rows 24 inches apart into your prepared bed. Water and once germinated thin to about 12-15 inches (30-40cm) apart. Plant seedlings 12-15 inches (30-40cm) apart. Water. Using a standard potting compost you can plant seedlings in large pots situated in a sunny spot or patio. I recommend copper fennel as they look attractive as well as edible. Water in hot weather but keep on the dry side. Renew plants each year. It doesn't suffer from disease, but as it's a member of the parsley family (umbelliferae) watch out for the parsley caterpillar. Remove these by hand. Overwatering may result in root rot in young plants. As soon as the plant is well-established you can start harvesting some of the young leaves and stems. Collect and dry seeds for cooking or to save for next year's crop. Dig up Florence fennel bulbs when 3-4 inches in diameter. Note: You can use the seeds to make a very healthy drink. Click here for my recipe. Winter/Early Spring: Prepare bed by digging in organic material. Sow seeds indoors.Spring: Plant out seedlings into the garden or containers. Sow seeds outside. Summer:Stake the plants if they get too tall. To encourage new growth, cut off flower heads.Autumn: Cut back older plants. Winter: Dig over and prepare soil for spring.